Chip King and Lee Buford of The Body have been deconstructing the nests-within-nests metal genre since 1999, but with No One Deserves Happiness, this anti-genre theme has been taken to its logical limit. While apparently attempting to create a “pop”-infused sludge-metal album, they have smeared a racketing, screech-sludge landscape of nightmarish proportions with just a hint of reality in their intermittent, throbbing bass-lines. This is likely done to remind you of what life was like before your descent into Hell. The Body’s expression of anti-music pierces the eardrums like hot needles, akin to SPK and other industrial groups of the ’80s. This particular brand of avant-garde metal is so unique that The Body have almost become an entire solo genre. It is easy to decidedly compartmentalize doom metal—until the artists therein feel stuck and unambiguously defined. The Body transcend that formula by roughly sewing together shards of whatever kind of music they see fit. In other words, they’re the Buffalo Bills of doom metal, but instead of lotion in the basket, it’s gasoline. Maralie Armstrong provides lead vocals in this album, offsetting King’s freakish background squealing with a sonorous and rich choral forefront. This dichotomy even further sets No One Deserves Happiness apart from previous ventures Christs, Redeemers and I Shall Die Here. Multiple, overlaid gloomy harmonies and guitar hums further stretch the depth of superimposed intonations until you’re drowning in modulation and reverb. On “Shelter is Illusory,” heavy, primal bass drums thump under swelling, powerful, chest-projected exclamations from Armstrong. Intimations of black metal creep through in repeated utterances of “church bells ring.” Near the end of the track, ambient electronic blips and slicing guitar riffs meld with vocals until neither exists anymore and all that is left is a whirlpool of noises smoothly washing together. The Body have previously ascribed their bass-lines as “Beyoncé style.” While they were obviously being purposefully misleading, “Two Snakes” is a large departure from the rest of the album. It begins with a prickling, dense electronic bass line. This is quickly replaced by the ominous and dissonant drone of the guitar, evocative of metal rubbing metal. A chorus of melancholic angels wails cut through the lava-throated, guttural utterances just beneath the surface. This combination conjures images of the occult, People’s Temple, and entire cities on fire. Slow sludge thrusts are evident on “Starving Deserter,” the deepest pit of the album. King screams metallic in precisely the same tone as previous tracks. In a normal situation, this continued and repetitive vocal style would irk; however, this time, it provides a cascading, dark spiral of hypnotic ,wide-eyed agony, both entrancing and terrifying. This is not simply frustration that we are feeling, but the existential torture we were asking for. 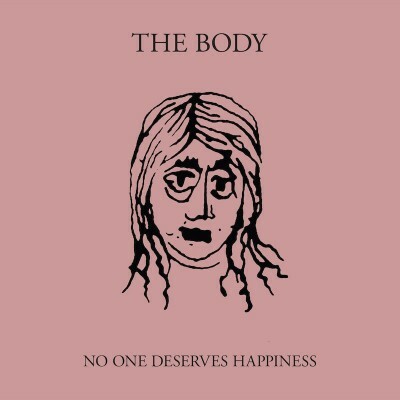 The Body have created 10 tracks of anti-music with only the steady, hateful stomping of percussion to hold it together. This motif of tom brutalization is most evident on “For You,” the backing track for a slaughterhouse.